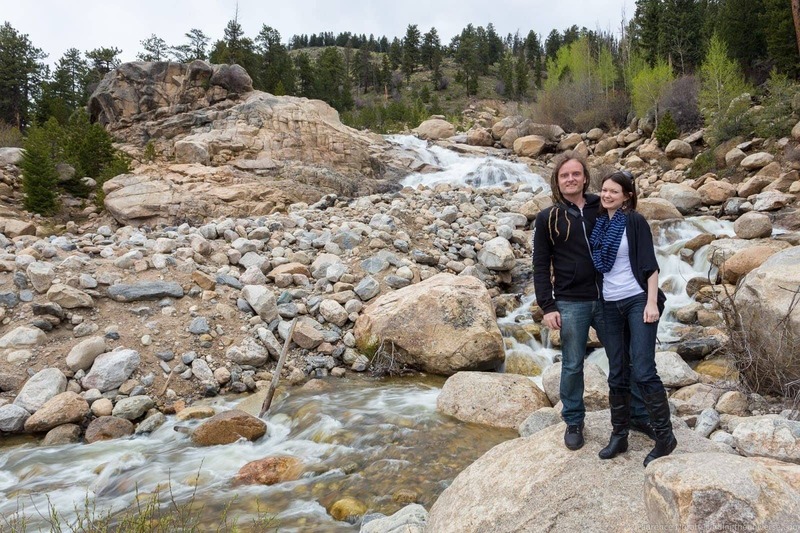 Jess and I recently visited Colorado, which was my first visit to this wonderfully mountainous part of the US. We were primarily there to attend a travel influencers conference, but we tacked on a few days to do a bit of sight-seeing, starting off in the capital of Denver, where I watched my first ever baseball game, after which we headed out to explore some of those incredible mountains. 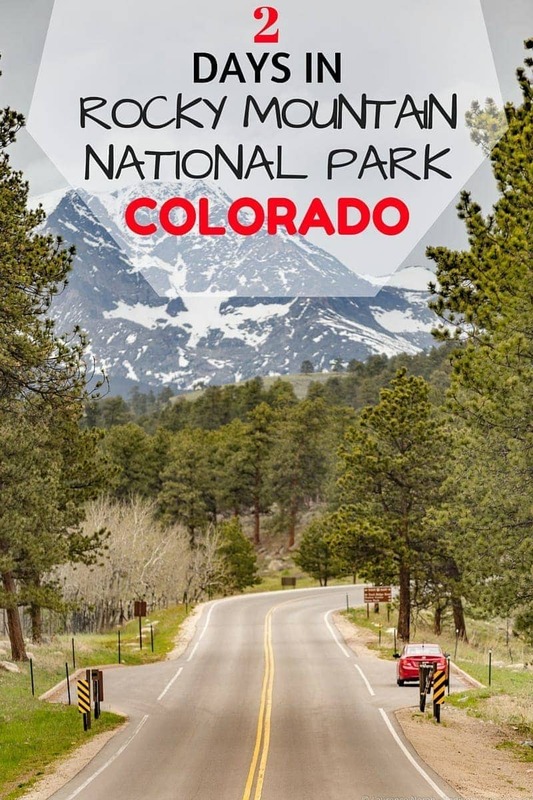 The obvious place to head from Colorado to explore the Rockies was of course the National Park named for them – the Rocky Mountain National Park. Home to 72 peaks higher than 12,000ft, and set in over 400 square miles of wilderness, this park seemed like the logical place for us to spend a couple of days exploring. You can’t actually stay in the park though (unless you’re camping), so many travellers, us included, choose to stay in the nearby town of Estes Park. This is just a few miles from the Rocky Mountain National Park entrance, and has shops, hotels and restaurants, as well as a few attractions of it’s own, most notably the Stanley Hotel where we stayed. This grand hotel was where Stephen King stayed in 1974 and had the inspiration for “The Shining” novel – today it’s a very popular place to both visit and stay, and Jess has done a full write up of our experience staying at the Stanley. 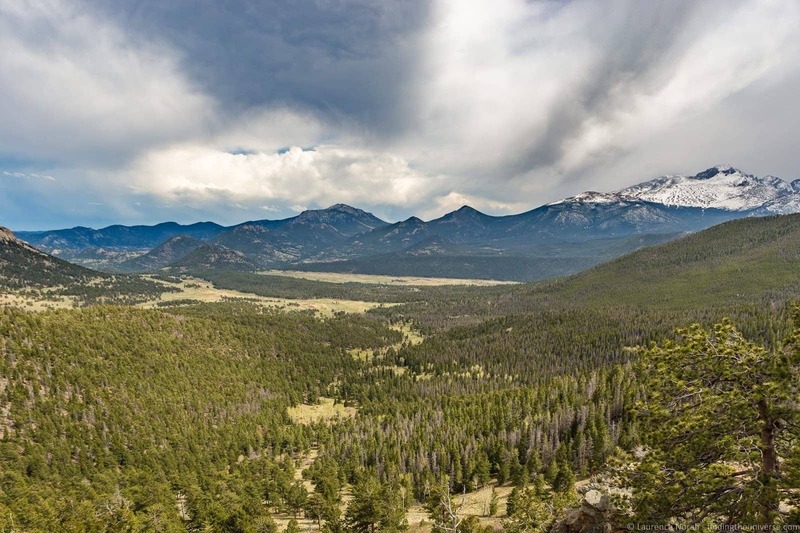 Now, I’m going to talk in more detail about our highlights from our two days in Rocky Mountain National Park and Estes Park, starting with a day in Rocky Mountain National Park. 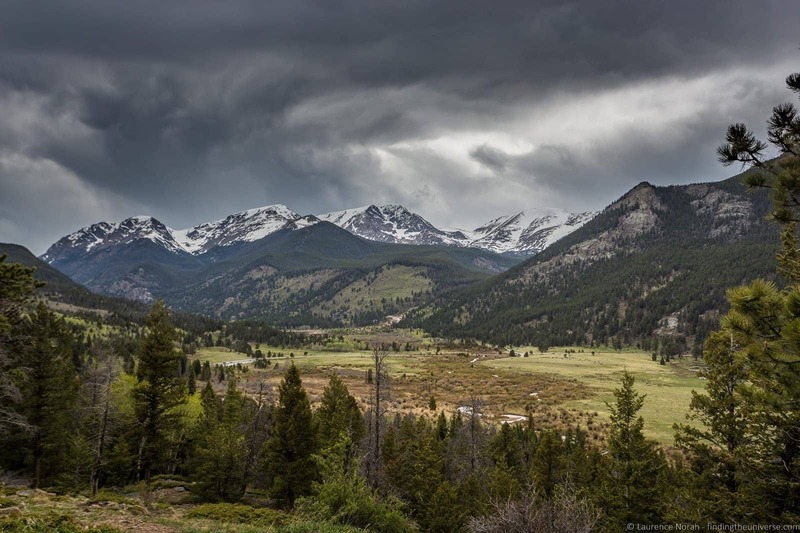 Rocky Mountain National Park is a big place, with over 350 miles of trails. It’s also quite a busy park, especially in summer – in 2015 it was the third most visited park in the USA. So if you don’t have much time, it makes sense to have a plan for what you want to see. 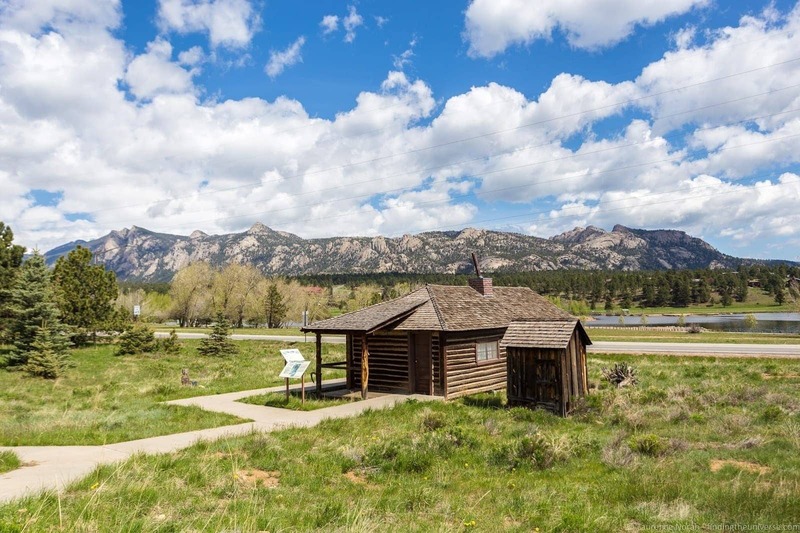 If you’re coming in from Estes Park, as we were, a great place to start is the Beaver Meadows Visitor Center, which is just outside the park. Here the friendly and knowledgeable park rangers can give you plenty of advice on weather conditions, hiking trails – and even the best spots to photograph sunrise and sunset! From here, it’s a short drive to the park entrance where you’ll pay your visitor fee. 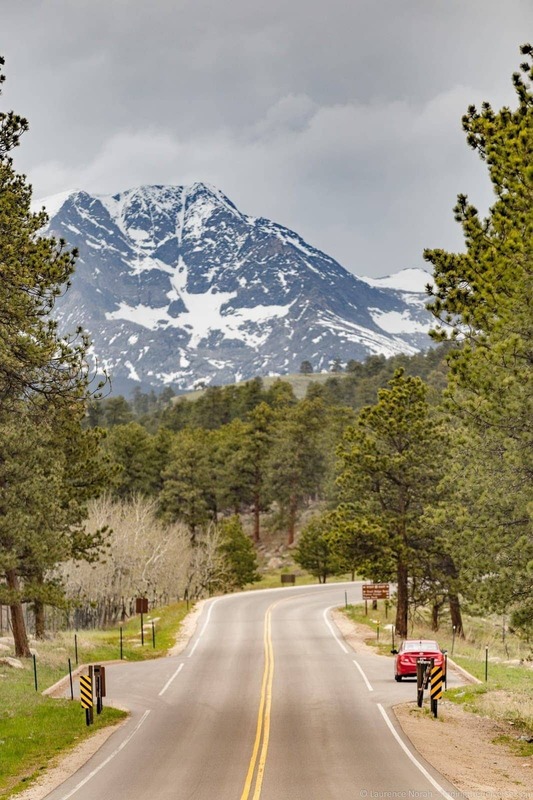 This 48 mile long road is the highest continuous paved road in the United States, with a maximum elevation of 12,183ft – well above the treeline! It has multiple scenic spots where you can stop, park safely and enjoy the view, and the drive itself is just spectacular. It’s open between May and October, although conditions can cause it to be closed temporarily even in those times. We recommend doing the first 18 miles or so of the road at least, from where it starts just inside the park up to just beyond the Alpine Visitor Centre. You’ll find incredible views along this stretch, and you’ll be stopping more than you might think! Some of the best places to safely stop along the route are below. These are in order from entering the park at the Beaver Meadows Entrance Station, and all have well marked parking areas. I’ve put photos from each in order below, to give you some idea of what to expect. 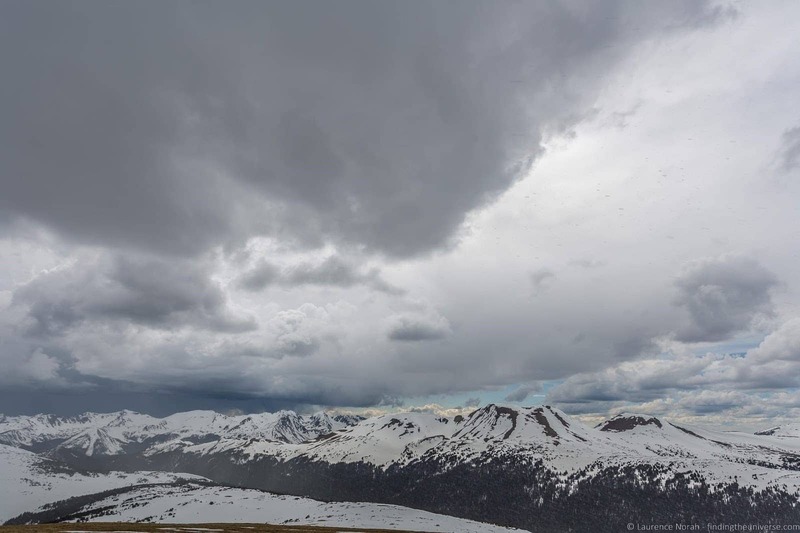 We didn’t have the best weather for our Trail Ridge Road drive, experiencing everything from sunshine to lightning, thunder and snow in our two hour adventure, but the views were definitely still worth it! The first stopping point as you come up Trail Ridge Road, you’ll find the main parking point for Many Parks Curve Overlook a little way past the curve itself (it’s well marked). Then you leave your car and walk a couple of minutes to the viewpoint. 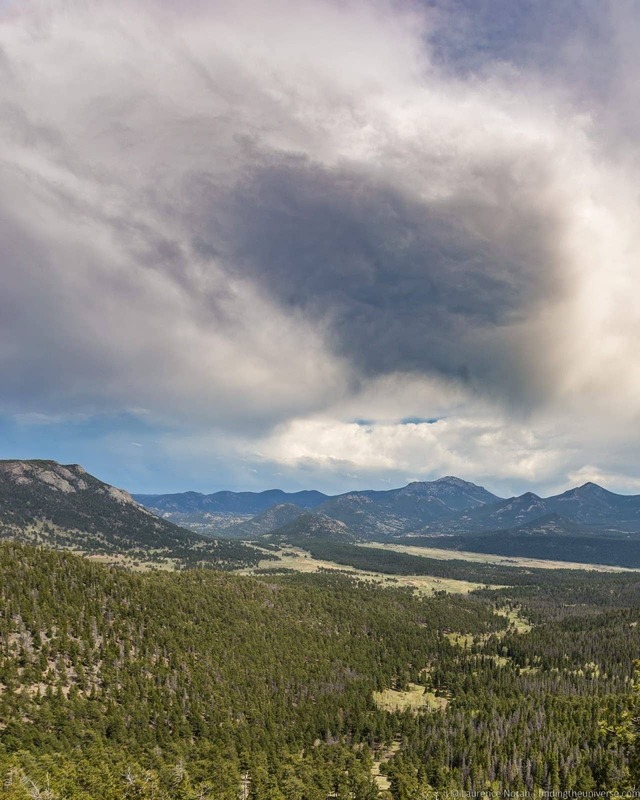 From here you get sweeping panoramic views across much of the south and eastern parts park, all the way back to Estes Park town and up to the mountains, including a view of Longs Peak. You’re also still well inside the tree line, so the photos are nice and green. This would be a great spot for sunrise photos across the park, if you have the time and the road is open. From here you can also sneak a nice view of the Alluvial fan, pictured above. More on that shortly. Four miles further up from Many Curves overlook, you’ll gain another 1000ft or so in elevation. Time to stop at Rainbow Curve, which gives you a great view in a slightly different direction to Many Parks Curve, out towards the northern part of the park, as well as across Sheep Lakes and to the east. Back on the road, and it’s just shy of three miles to the next stop, Forest Canyon Overlook. In this section of the drive you’ll ascend above the tree line, and the views will really open up. 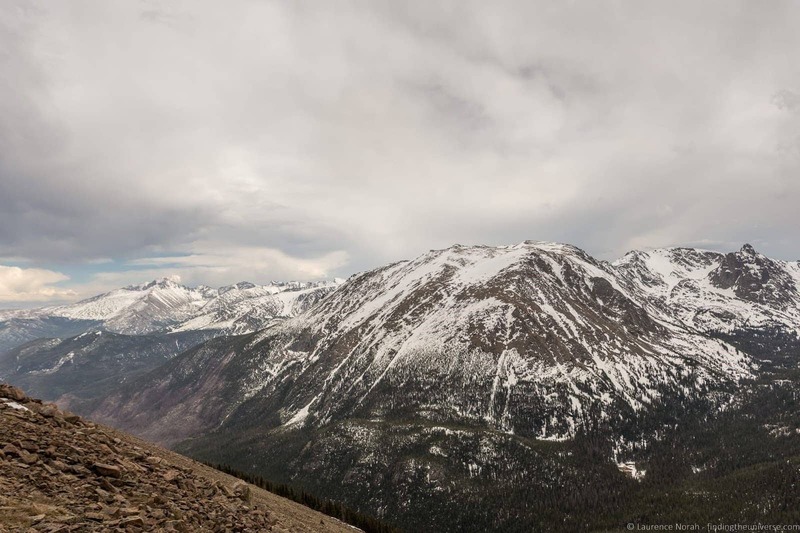 At just shy of 12,000ft, Forest Canyon overlook is really high, and you’re going to feel on top of the world when you get here. 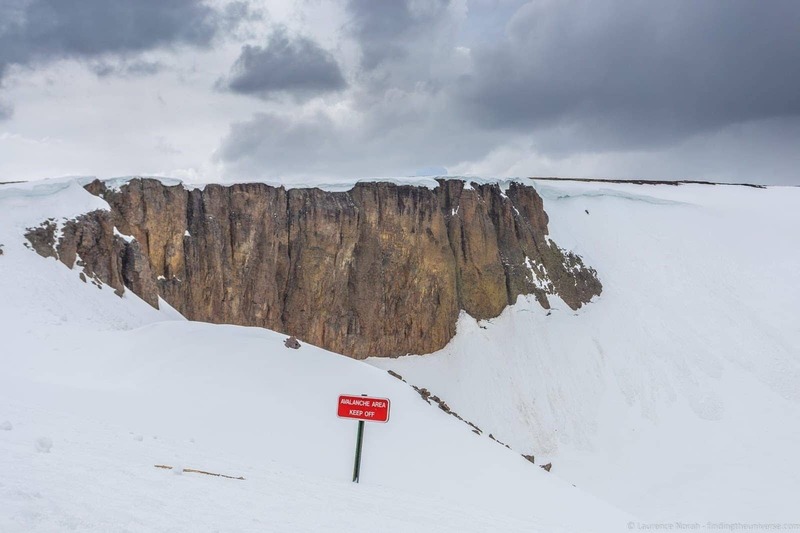 When we visited in late May, there was still lots of snow up here (and the temperature was hovering around freezing), but the views were still excellent, despite the clouds. From Forest Canyon overlook you get a great view down into Forest Canyon, as well as various mountain peaks, including Mount Ida, on the continental divide. Another four miles of driving, and passing through some truly otherworldly scenery, including a pullout at Iceberg Pass (the sideways blizzard we were driving through at this point precluded us from stopping), and you’ll arrive at the large Lava Cliffs parking area. Here you’ll get a view of this large wall of solidified volcanic ash, left here around 25 million years ago from a nearby volcanic eruption. This is also near the highest point of the Trail Ridge road, with the summit just a few hundred yards from the Lava Cliffs viewpoint. A mile from Lava Cliffs Overlook, passing the Trail Ridge Summit, and you arrive at Gore Range Overlook. 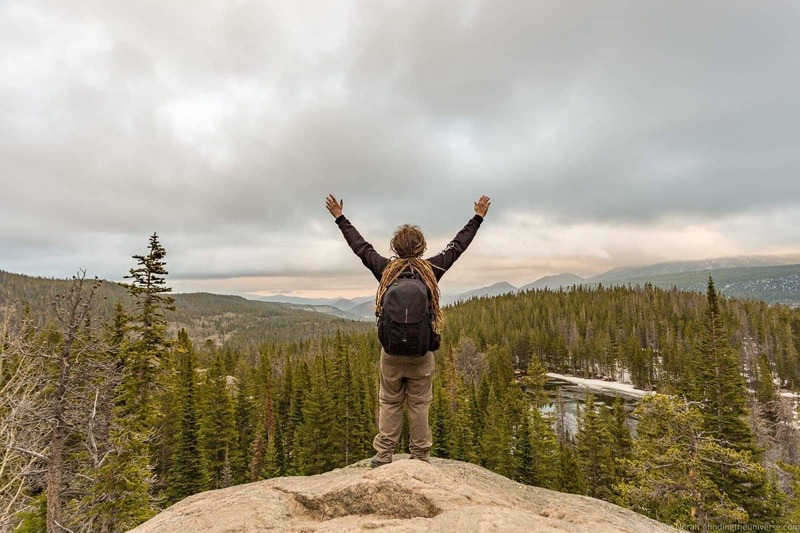 This is one of the best places to get a view of the west of the park, with spectacular views of the Gore Range mountains, which run for sixty miles. As you can see, we had somewhat variable weather, but the views made stopping worth it nonetheless! Beyond this point on the road, the elevation drops, and you head down to the town of Grand Lake. The drive is also lovely, with good opportunities for hiking along the way, so of course, if you have time to continue, then head on. However, if you’re on a limited timetable, this is a great half way point to stop, giving you time to see more of the rest of the park. 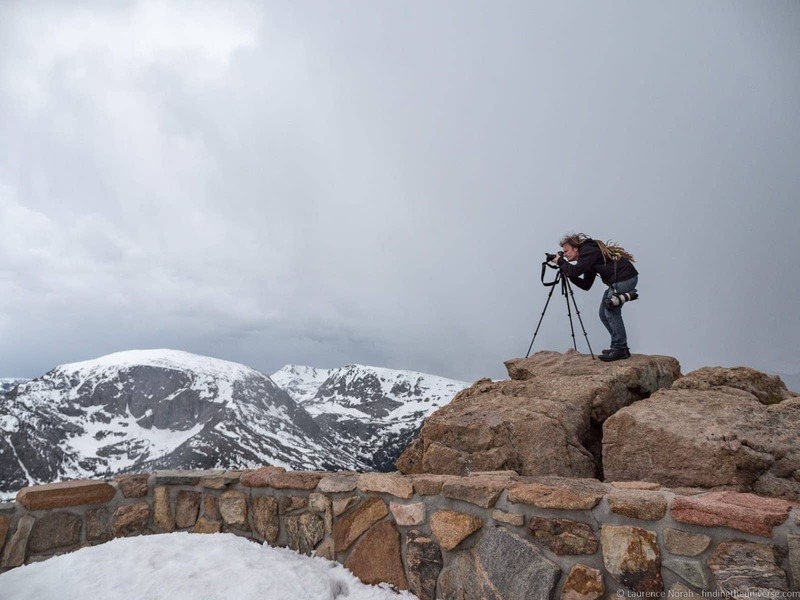 Originally built in 1936 (and with various renovations over the years), the Alpine Visitor Centre (open seasonably) is well worth a visit as part of your Rocky Mountain National Park experience. There’s an informative museum, large gift shop, café, and wonderfully panoramic views. There are also restrooms and staff on hand to answer any questions you might have. Refreshed, it’s time to head back down the Trail Ridge Road (feel free to stop at the viewpoints again, the weather and light change quickly here!). Depending on your timing, you may have a bit more time to spare. My suggestion would be to head to a couple of attractions that are just off the Trail Ridge Road. As you descend down Fall River Road, and pass the West Horseshoe Park lookout, you’ll come to a turning on the left for the Old Fall River Road. 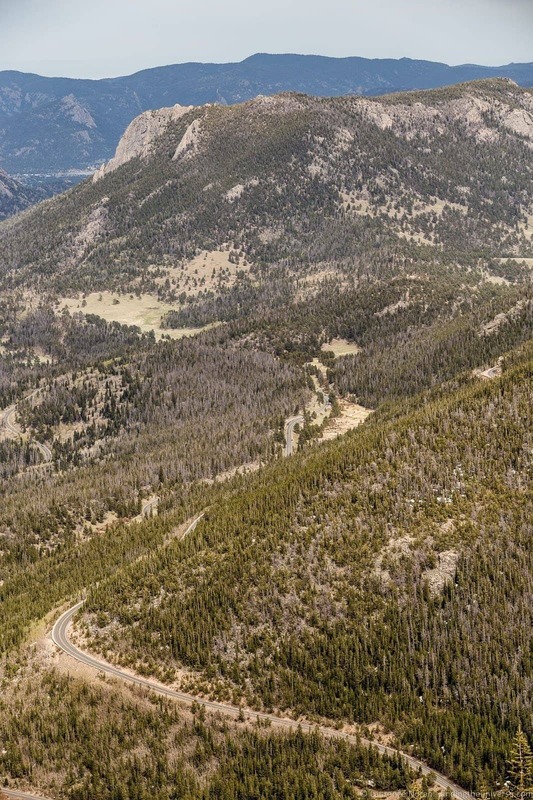 This is a steep and winding one way road that was the first route up to the high country when it opened in 1920. 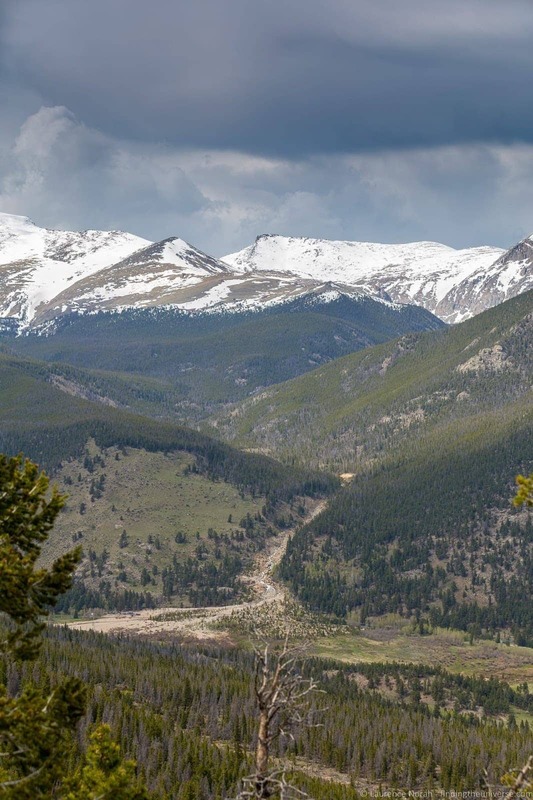 It has very limited opening due to weather conditions, but if you want an alternative route up to the high country and are confident in your dirt road driving abilities, this can be a fun way up to the top of the mountains – with the return journey back down Trail River Road. 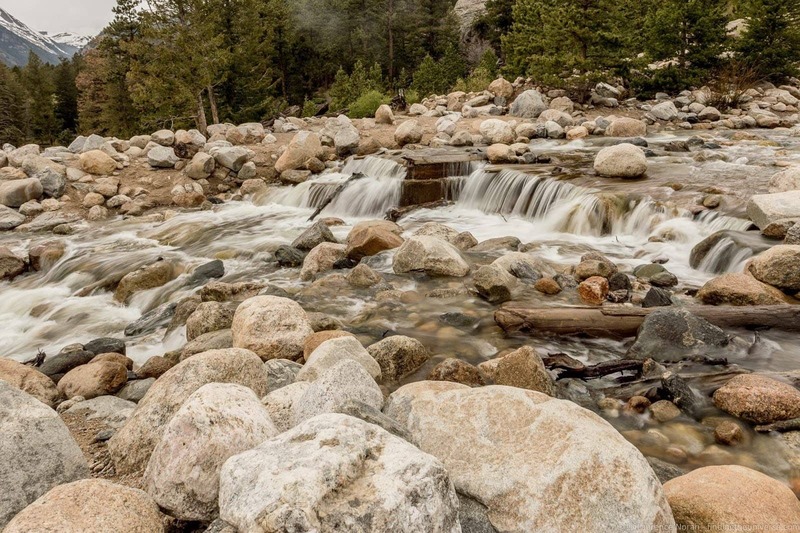 However, for the purposes of this guide, we’re not going to go all the way up Old Fall River Road – instead we’re just going to drive along it a few hundred yards on the paved section, to the parking area for the Alluvial Fan. From this parking area it’s a short, relatively easy hike to Roaring River, where you can see the Alluvial Fan. This is what remains of the devastation caused when Lawn Lake Dam failed in 1982, releasing 30 million cubic feet of water down Roaring River valley, which truly earned its name that day. When the water reached Horseshoe Park, it spread out, and left behind the alluvial fan of debris that can be seen today. Back to the Fall River Road, and it’s just another few hundred yards to the Sheep Lakes Information Station. 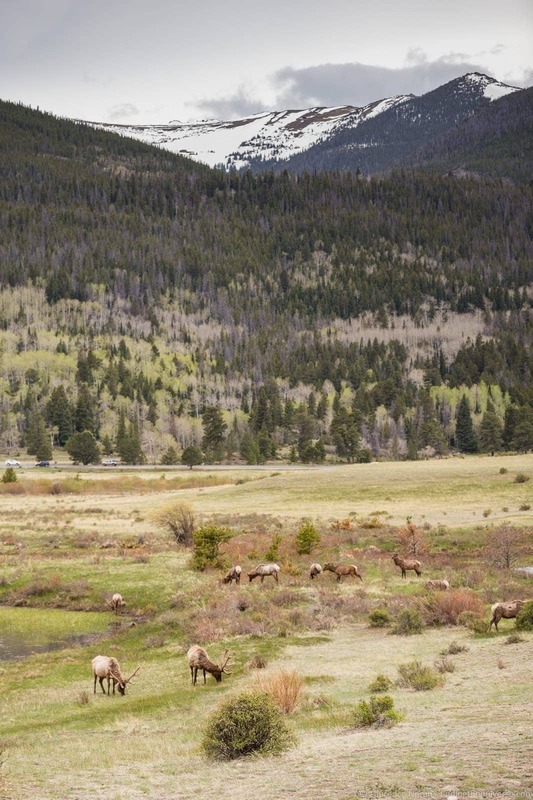 From here you have about the best chance in the park to see the Rocky Mountain Bighorn Sheep, a truly impressive sheep species that is notable for its agility, as well as having enormous horns. Be sure to keep your distance from the sheep and any other animals here, they are wild animals and this is their home! 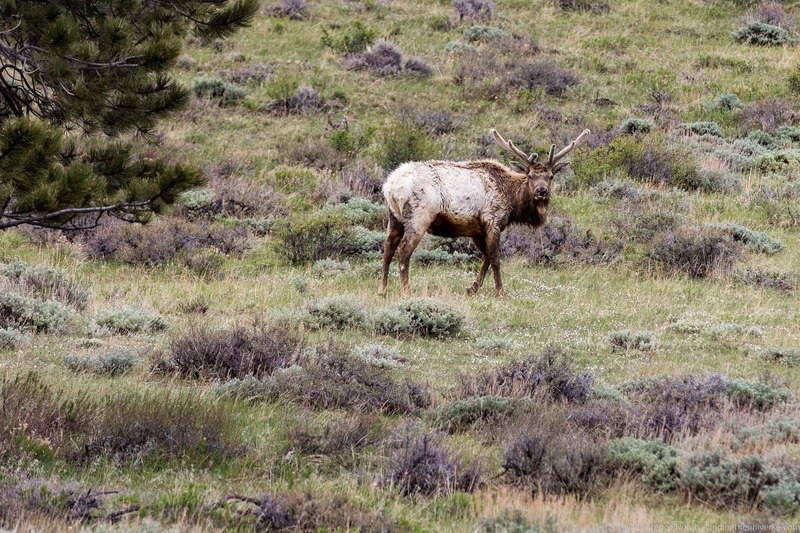 The reason you are likely to see them in this area is because they come down here to graze, and eat the soil from “Sheep Lake”, which is high in nutrients. Unfortunately, we didn’t see any of these animals on our stop, but we did enjoy the views of Horseshoe Park and the other animals grazing down here. For the best times to see these sheep, visit between 9am and 3pm in the summer months. And don’t despair if you don’t see them, the views are still excellent up and down the valley! Another part of the park that is well worth visiting is the section accessible along Bear Lake Road. 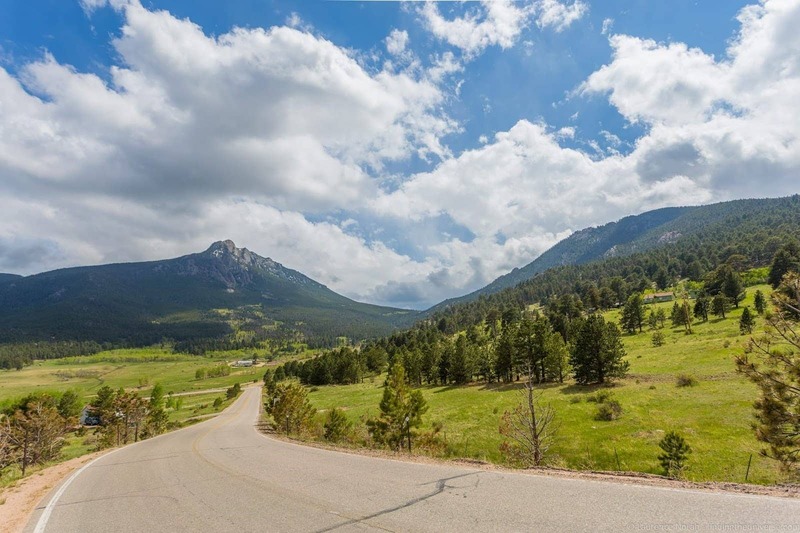 The turnoff to Bear Lake Road is very close to the Beaver Meadows Entrance Station, so is an easy trip in from Estes Park. 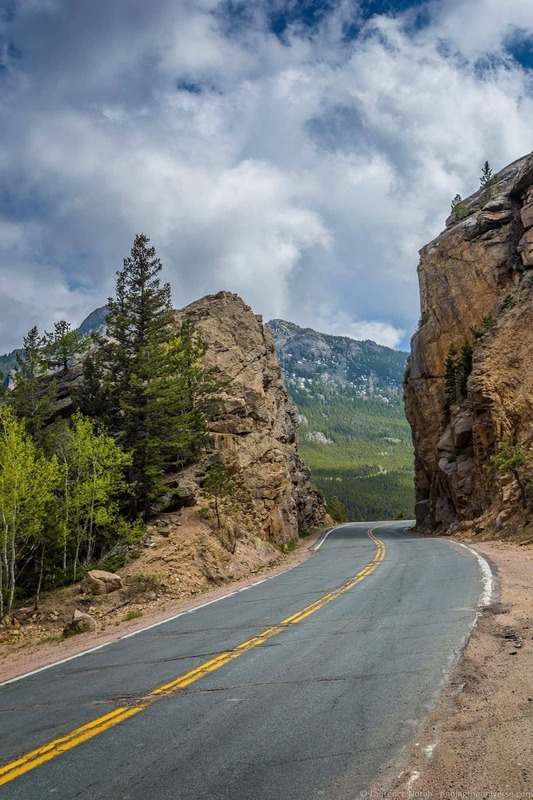 Bear Lake Road itself is just over 9 winding miles long, with plenty to see and do along the way. 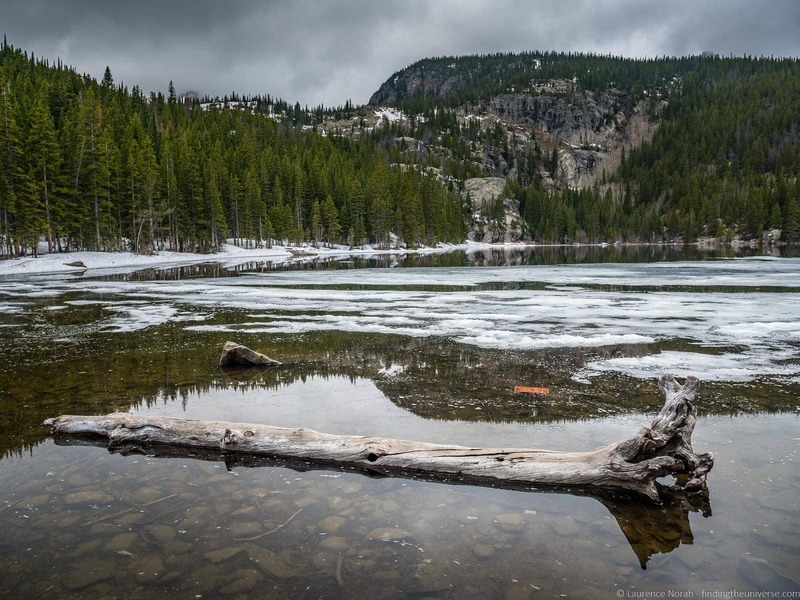 One of the most popular and easily accessible sights is Bear Lake itself, located right at the end of the road. It’s just a couple of hundred yards from the car park to the lake itself, which is very beautiful, and there are a number of trails that start at this point if you feel like a bit of a hike. Or, you can just circumnavigate the lake itself. 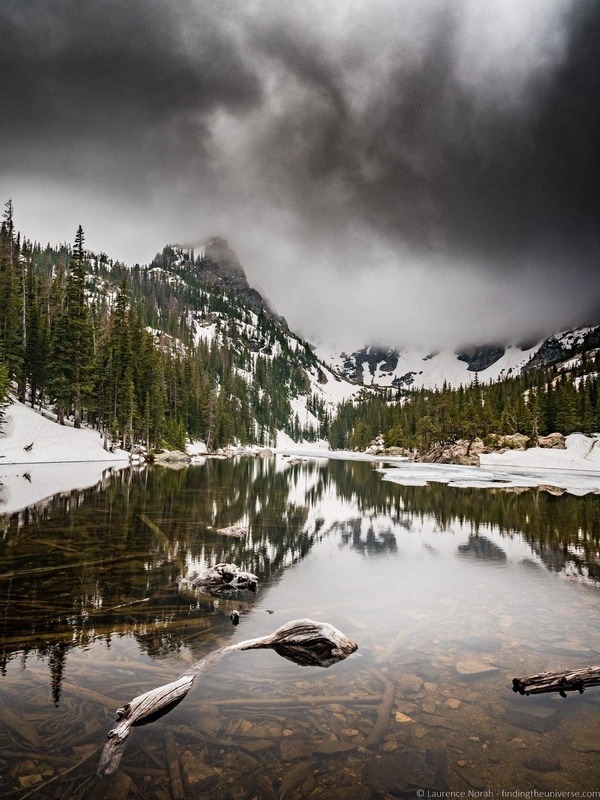 In summer, the hike up to Dream Lake is relatively easy, although you do gain a fair bit of elevation. In the winter months, the area is snow covered, so is likely to require snow shoes. The hike is just lovely though, with fantastic views across the park, and on the way you pass Nymph lake, which is also very pretty. Dream Lake and Bear Lake are particularly nice at sunset, although it was a little cloudy when I visited. Still, I made the most from my trip, and loved having the place to myself. The views on the hike back down were also fantastic – definitely one of the highlights of our visit to Rocky Mountain National Park. The other highlight of my exploration along Bear Falls Road was the hike I took up to Alberta Falls. This is about a 2 mile roundtrip hike, which starts at the Glacier Gorge Trailhead, about a mile or so before the Bear Lake parking area. This hike is a very popular one, and for good reason – Alberta Falls is a magnificent 30 foot waterfall that is well worth the walk up to see. The hike itself isn’t too difficult, although there is a bit of uphill. Still, I think you’ll agree the views were worth it! Finally, and the last spot I’m going to recommend you visit in this post (although there’s plenty more to see and do in this park, including lots more fantastic backcountry hiking! ), is to visit the Moraine Park Discovery Centre, and take a short drive down Moraine Park Road. The discovery centre is on Bear Lake Road, just a few hundred yards after you start driving on it after entering the park. As well as a small gift shop, there’s a very informative centre where you can learn more about the geology, flora, fauna, and history of the park. Definitely worth half an hour of your time! From the visitor centre carpark, there’s a nice view across the valley (this spot was recommended by a ranger as a good bet for sunset, although we didn’t have the weather to test that out). If you have time, then I suggest taking a short drive along Moraine Park Road, opposite the visitor centre. 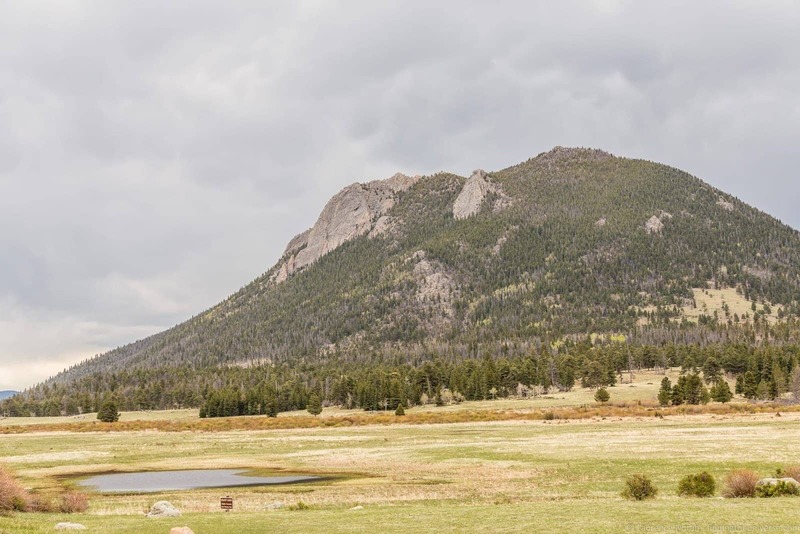 This has a number of pullouts, from where you can get even more wonderful views of the Rocky Mountains, as well as the wildlife and wildflowers in this area. 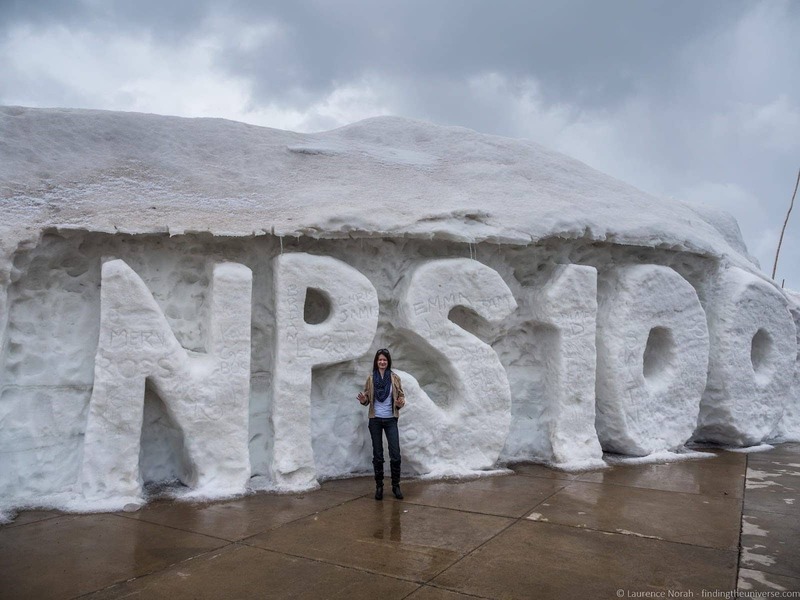 Now, that’s probably enough about Rocky Mountain National Park! 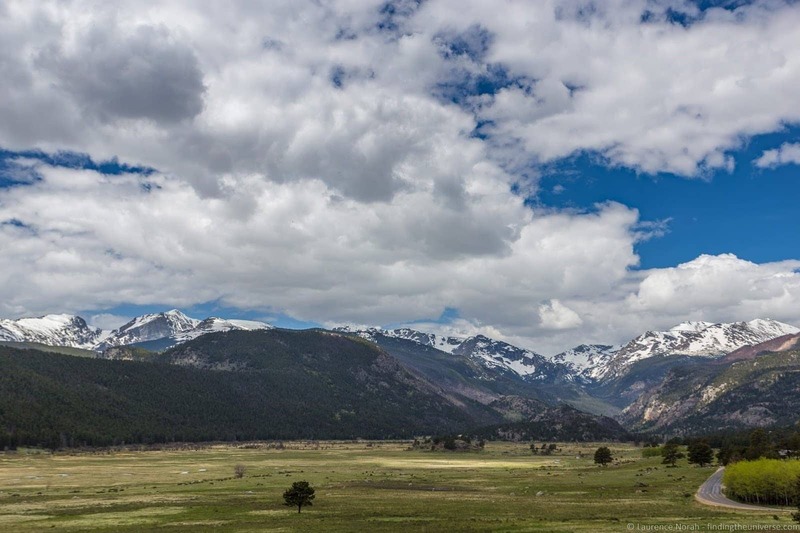 Let’s quickly take a look at Estes Park and some of the other things you might want to consider visiting in the area. 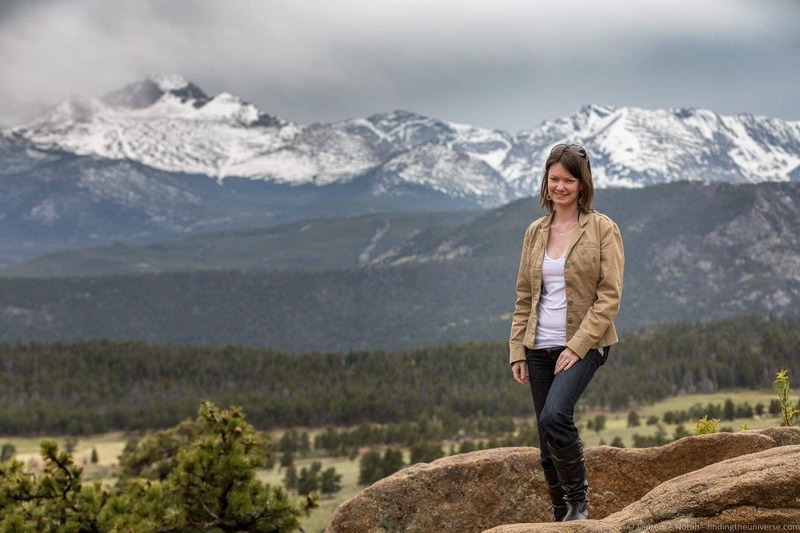 Jess is going to be doing a more detailed run down over on her blog about Estes Park, but in the meantime, you should know that this is definitely a town worth visiting. With more taffy shops than anywhere I’ve ever visited (seriously, what is with all the taffy shops? ), if you’ve got a sweet tooth, you’re going to be in heaven. There are also plenty of eateries, craft shops, and even an insanely well stocked outdoor beer garden. Basically, this little town has a whole lot going for it, so make sure you allocate some time in your schedule when you visit the area to explore a little. If you want to learn about the history of the town, Estes Park Museum has you covered. 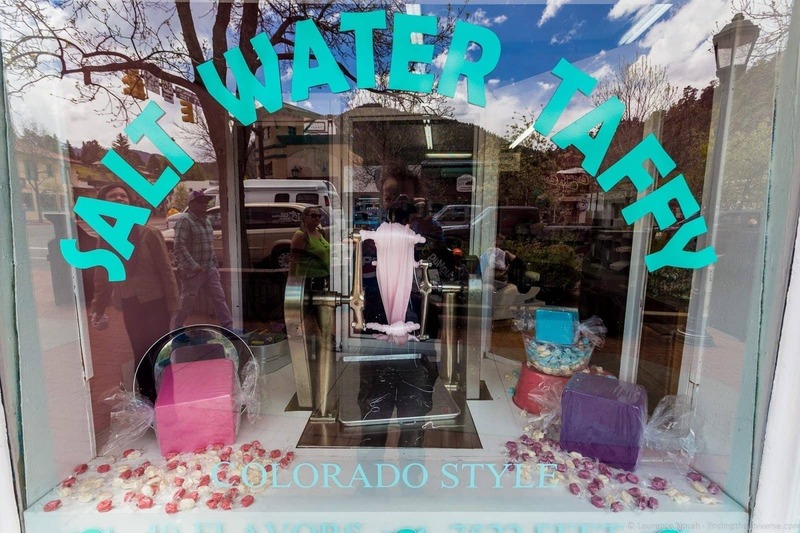 Alternatively, you can walk the high street trying to figure out which is the best taffy store in town! 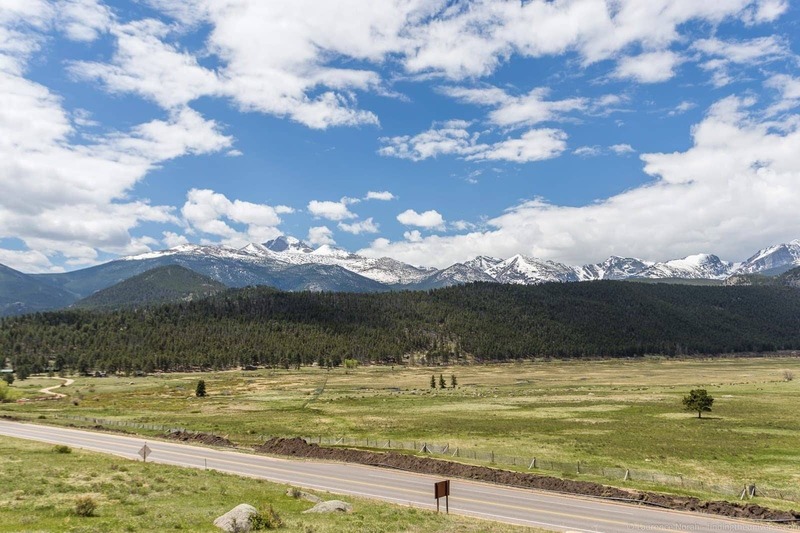 Heading out of Estes Park, and there’s lots of beautiful scenery in this area that you can enjoy without heading into Rocky Mountain National Park. One suggestion I have for you if you want a nice scenic drive is Highway 7 heading south out of town. 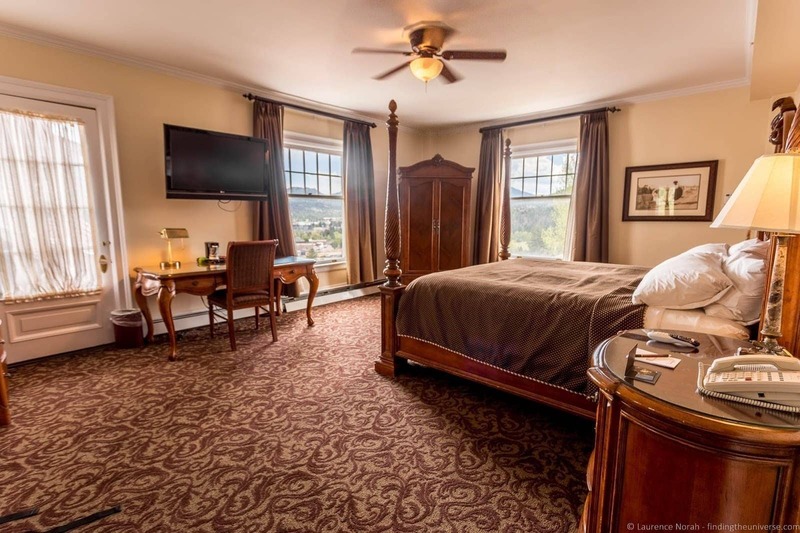 This winds out of town offering gorgeous views of the surrounding mountains, plus has a number of stopping points where you can just take in the view, or embark on a hike. 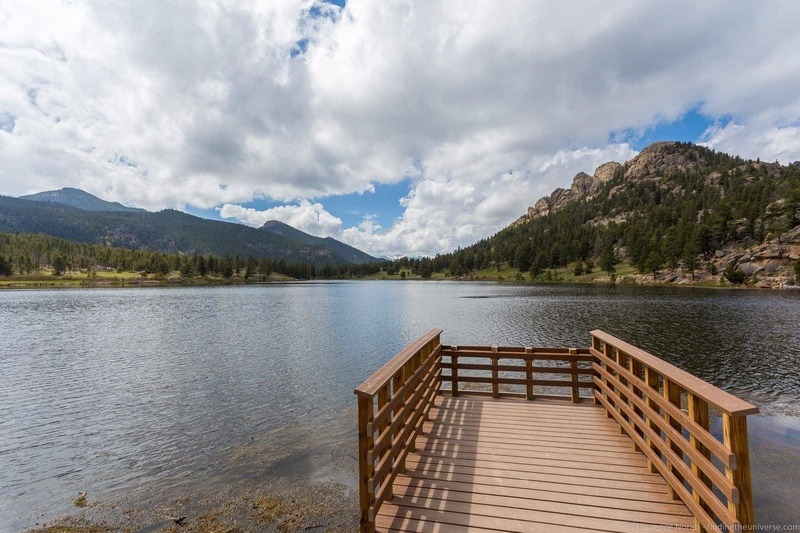 A good spot for both of these activities is Lily Lake, about seven miles south of Estes Park. This is a very photogenic location, which also offers good hiking. 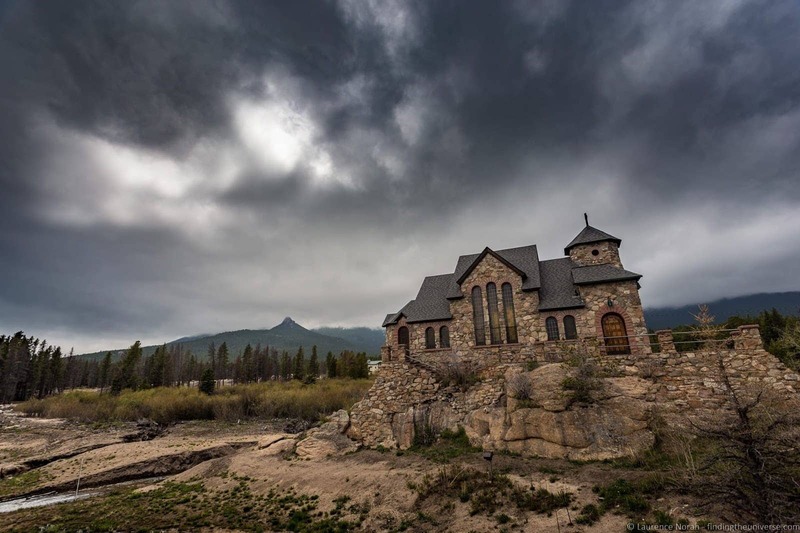 A few more miles along Highway 7, and you’ll come to another photogenic spot – the Chapel on the Rock. The surrounding landscape was damaged during landslides in 2013, but it is still worth a visit as it’s a picturesque little chapel. 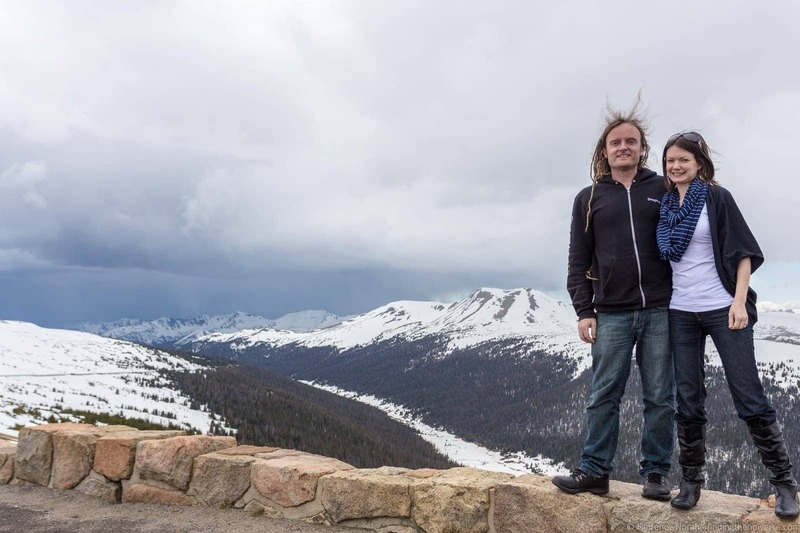 Ok, that sums up some of our favourite sights from our trip to Rocky Mountain National Park and Estes Park! Let’s talk about when you should visit. 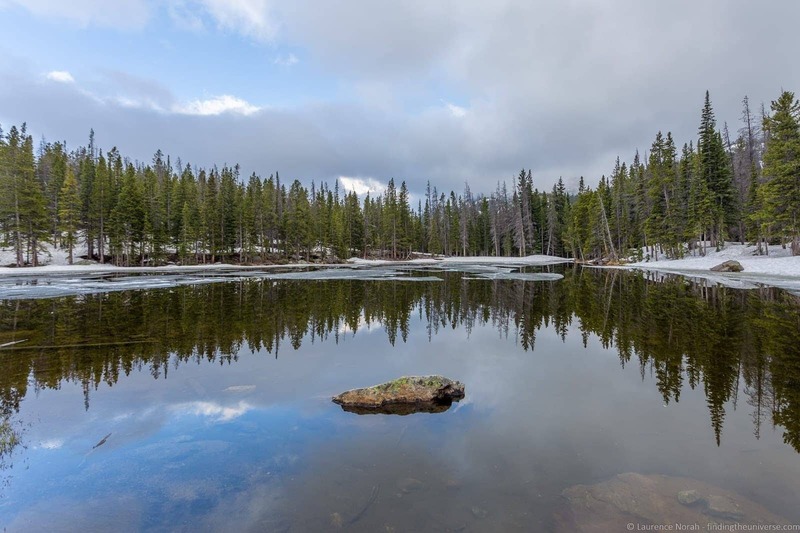 First – Rocky Mountain National Park is open year round, 24 hours a day. So no worries there. 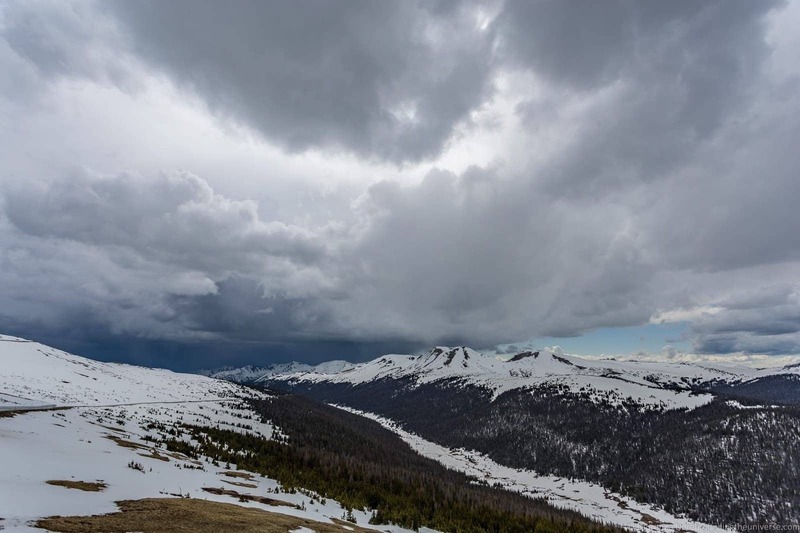 However, if you want to drive Trail Ridge Road, you need to visit from around the end of May to early October. July through September are the busiest time of year, so my recommendation to avoid the crowds and still get good weather, plus plenty of light for activities, would be June. 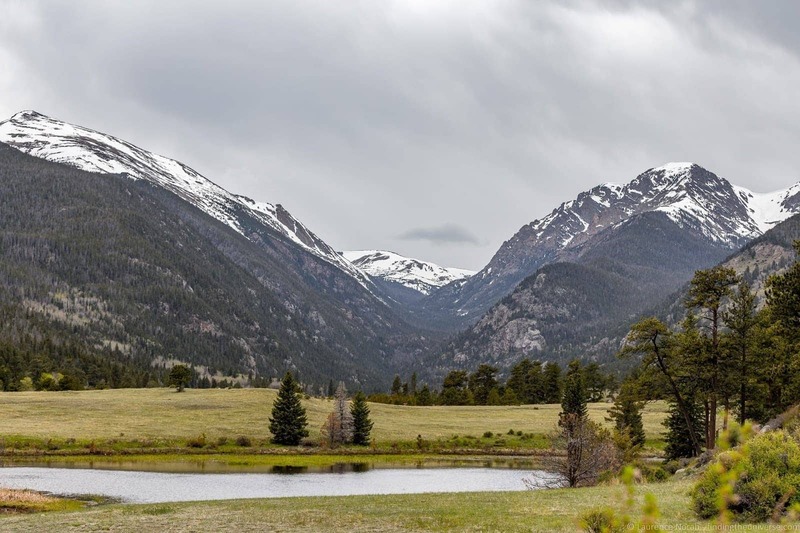 There are no lodging options in Rocky Mountain National Park, unless you have a tent or RV, in which case there are a number of campgrounds, including backcountry campgrounds (permit required). 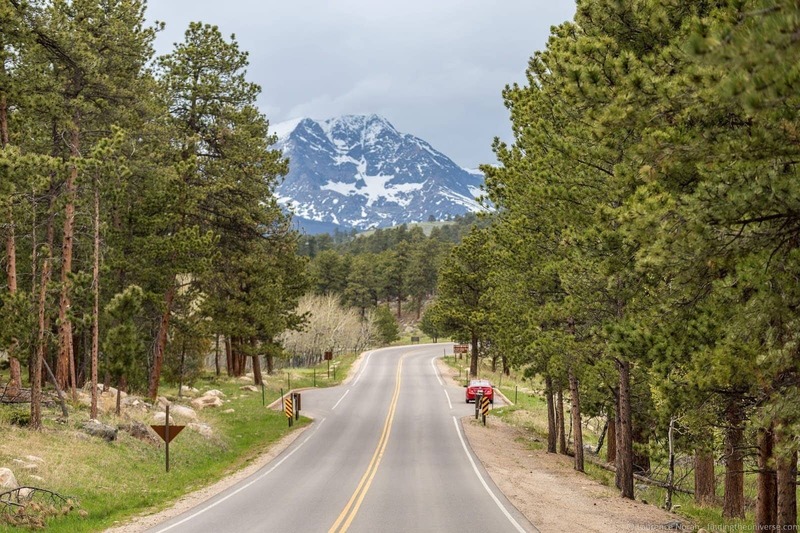 If you’re not into camping, your best option is to stay at nearby Estes Park, which has a good number of lodging options. We stayed at the Stanley Hotel, the most famous of all the lodging options in Estes Park, and the place that originally put this location on the map. 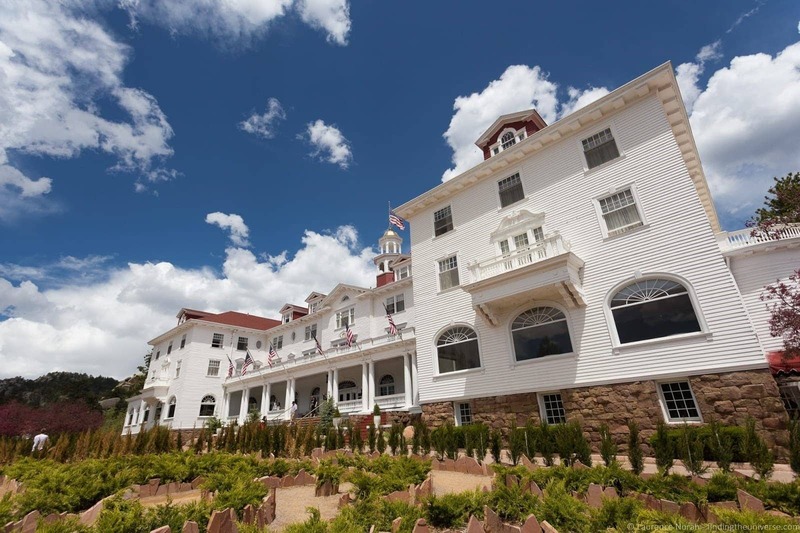 Once the summer residence of the Stanley Family, it’s been open since 1909, and is today a major tourist attraction in its own right – not least because Stephen King stayed here once, and got his inspiration for horror novel The Shining during his stay. Jess has done a full run down of this hotel over on her blog, but suffice to say, it’s a wonderful place to stay, with excellent views over the surrounding mountains. We also had breakfast and an evening meal here, as well as drinks in the bar, and were not disappointed. Otherwise, there are plenty of options for accommodations in the area. 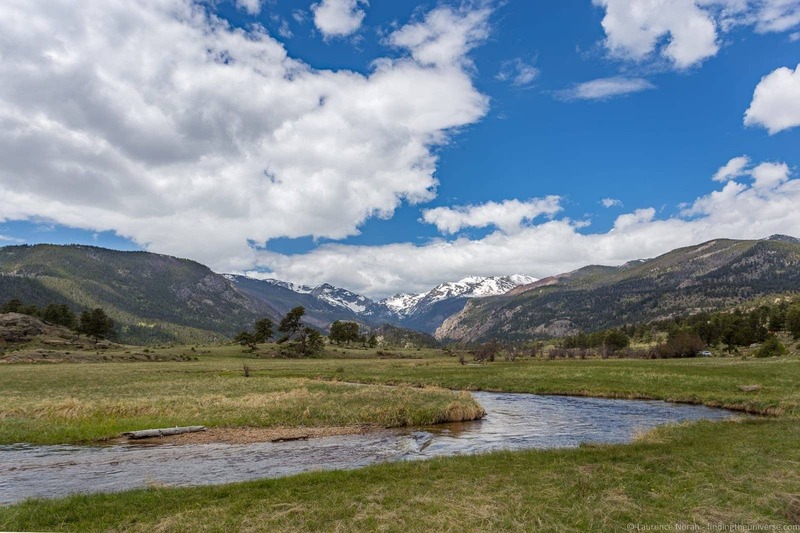 Check out the full listings on booking.com for Estes Park. We usually find they have the best deals when we travel. We had a rental car for our trip, which made everything easy in terms of getting around. We picked up the hire car from Denver airport, which has a number of rental options available. 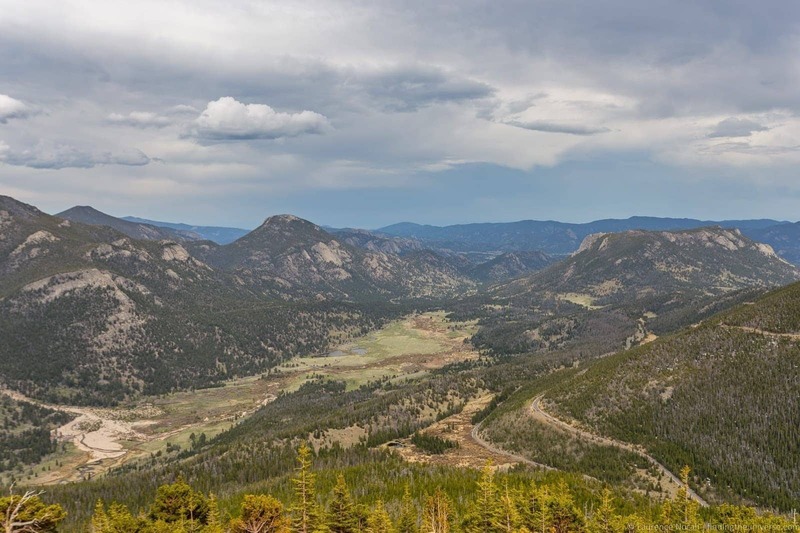 There is also a free shuttle service that operates between Estes Park and Rocky Mountain National Park, which runs all the way to Bear Lake, so if you are visiting Bear Lake or the attractions in that direction, that is a great option – particularly if you visit in the summer months, when parking can be at a premium. 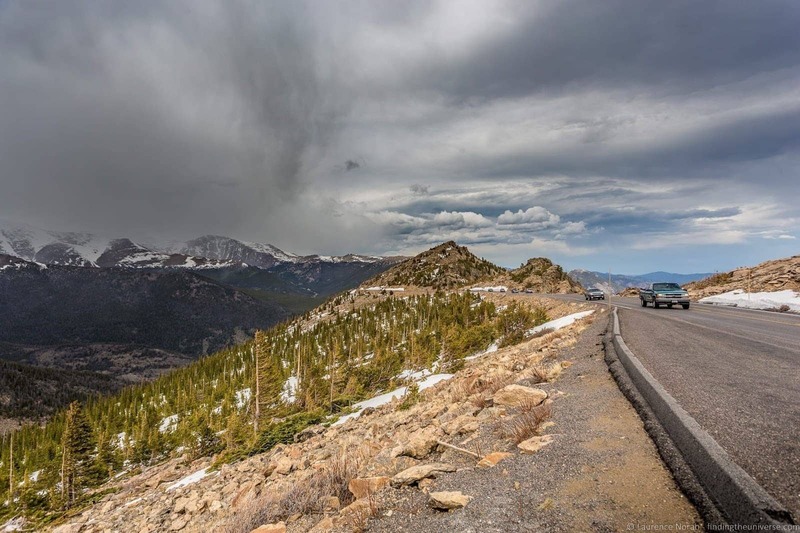 However, the shuttle doesn’t run over the Trail Ridge Road, so having your own transport to take in that spectacular route is definitely something you should consider. And that’s it! 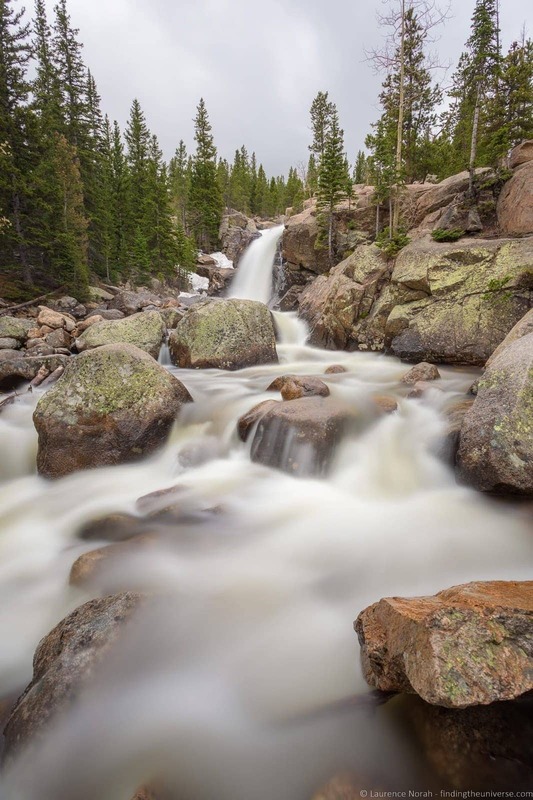 Have you visited Rocky Mountain National Park? Have anything you’d like to share? Let us know in the comments below! 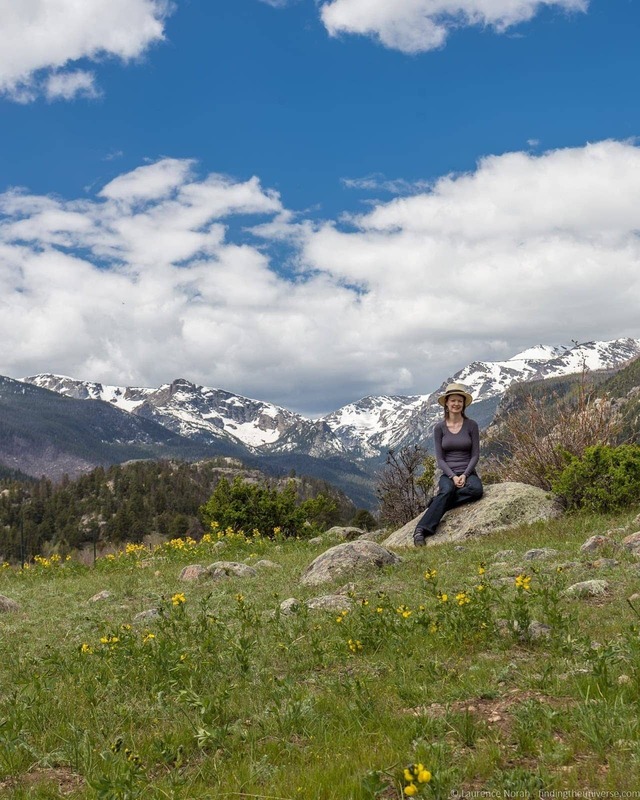 So you know: we worked in partnership with Visit Estes Park on our trip to the Rocky Mountain National Park, and they covered our park entry fees. The Stanley Hotel also covered our two nights of accommodation in the hotel, plus breakfast and dinner. All other expenses, including car hire, additional meals etc, we covered ourselves. If you’re interested in learning how we choose companies to work with, check out our code of ethics. Sandusky Ohio: A Guide to Visiting the Shores, Islands, and Cedar Point! We live in the south but have visited Colorado about 20-25 times. We have been to RMNP many of those visits. 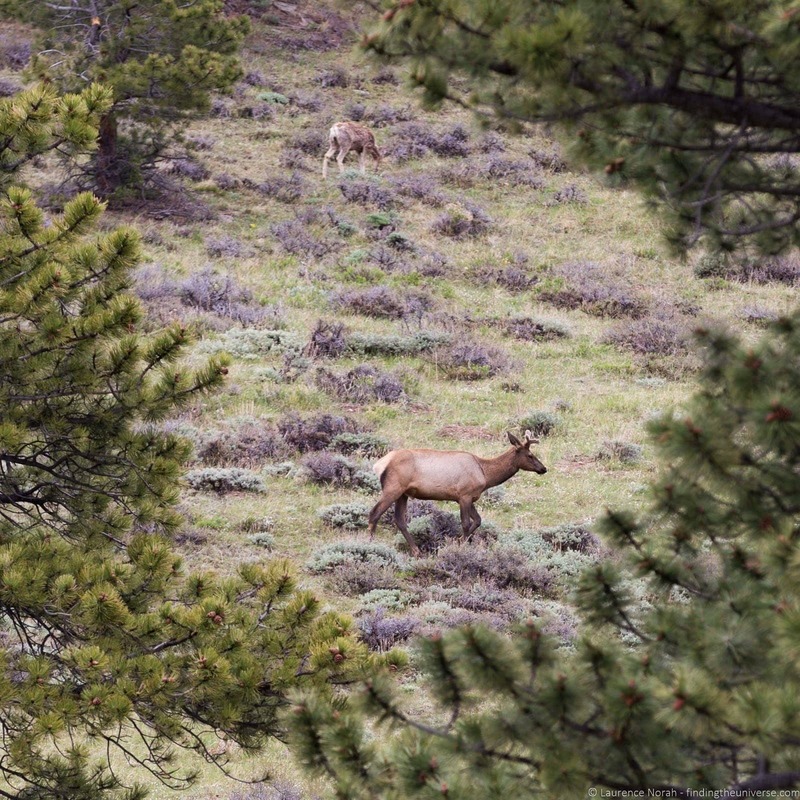 We met some friends from Montana last September in Estes Park and got to see many, many elk in RMNP. We are going back next month with the same friends. 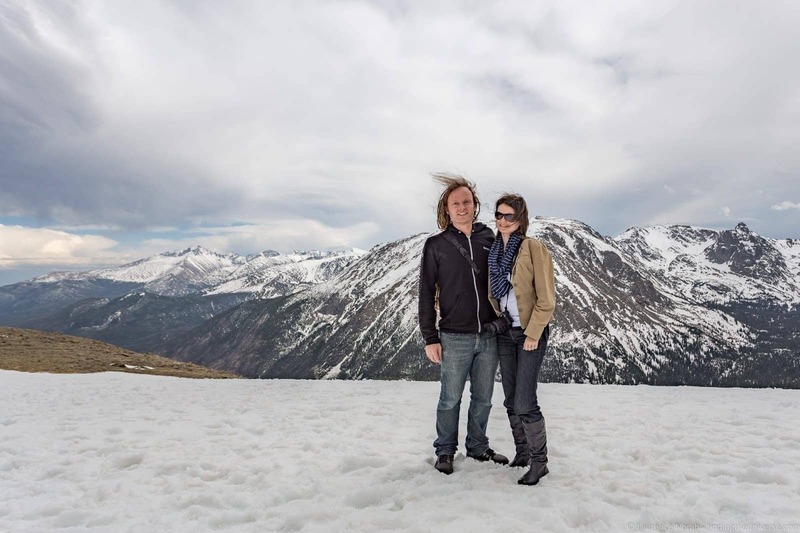 We love Estes Park and Rocky Mountain National Park. Your article hit all the high spots and is very informative for anyone that hasn’t been. Great information – thanks for sharing (and thanks for the details). Another place to add to our list … we love US National Parks! I just shared this in some Flipboard magazines and will post on some other social sites as well. Thanks again. 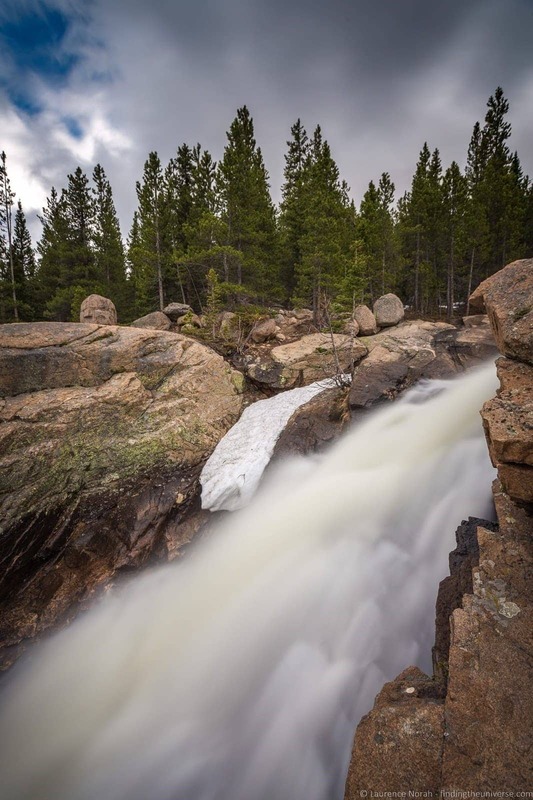 I live nearby RMNP and have visited there a couple hundred times over the last 50 years. Your pictures are the best quality and most representative of the park that I’ve ever seen. (p.s., the last week of May is about my favorite time to visit, when it’s very green and the crowds are thinnest (at least during the week and later in the day). Thank you very much – that is much appreciated! I have to say that May is often our favourite time to travel in much of the Northern hemisphere – here in Scotland where we are based it’s definitely the best time, often the weather is best, the crowds aren’t so bad, and there are no midges! Thanks again for your comment! Thank you so much for painstakingly writing this article. But from what you are describing, I gather that it is better to concentrate within RMNP, rathere than drive all the way down. Thank you for this great article! We are planning to go in the summer of 2019 & you have a wealth of information! Thanks Tonya – have a great trip! I live in Colorado and visit Rocky Mtn National Park often. I was collecting several good articles for friends who will be visiting so they can preview the area. Why do what others have already done so well? You did an excellent job! I hope you get a chance to come back and see the park from the other entrance. It is somewhat different, also beautiful and not to be missed. I sure do, that slow motion wave is patented 😉 Good spot!